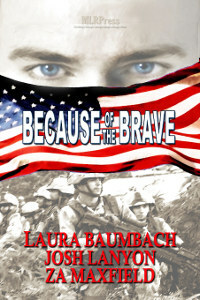 MLR Press has just announced that the anthology Because Of The Brave has been released in print. I’m very happy to see it available in its new format! The cover art is slightly different. You can find out more about buying it HERE. Thanks for the heads up. This looks really good and I like the cover art! Congratulations!